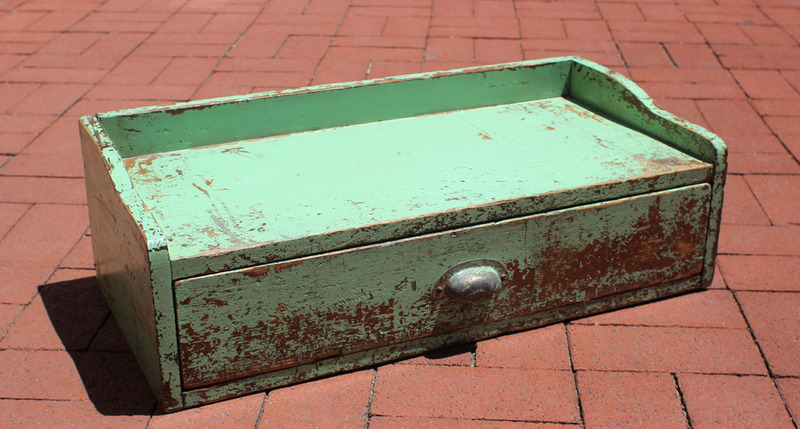 Highly functional desk surface with drawer, in green painted, worn surface. Strong modernist lines, American, early 20th century. Good condition, wear to the paint, replaced bottom of drawer.